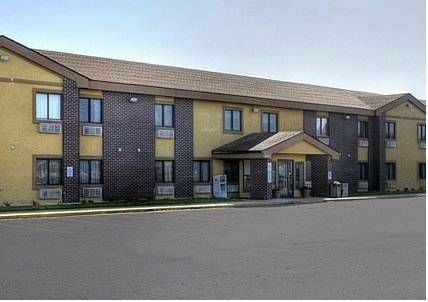 For affordable hospitality and warm comfort, stay at the newly renovated Baymont Inn and Suites Beloit, conveniently located within easy access of Interstates 43 and 90 in the Gateway to Wisconsin. Find Hormel Foods, Frito Lay, Beloit Memorial Hospital and Beloit College within a five-mile radius, as well as attractions like the charming Historic Area of Beloit, the Wright Museum of Art, Harry C. Pohlman Field, Ledges Sporting Horses and several restaurants. This smoke-free facility offers complimentary wireless Internet access and complimentary USA Today as well as complimentary continental breakfast with hot items. Ample complimentary parking, including parking for RVs and trucks is also available. The newly renovated guest rooms come equipped with microwave, mini-refrigerator and flat-screen HDTV and suites are also available for extra space.